Did anybody go to any of the open houses? What a waste of time and effort on the part of Edgemoor. Didn't provide a lick of value if you ask me.... It was basically "here is stuff you could find on the website"
The first public sessions where you could vote on stuff and give meaningful feedback was much more productive. The biggest value may have been the ability to ask the designers and developers questions in person. Agreed. I went to one of the open-houses and was able to talk to one of the architects from SOM. Good conversation. Doesn't feel like those discussions would have any impact on the project....if it does, then that's great... But it felt like lip service. they can't have bids going out for construction next month and aiming for FCC approval if the project design is still in flux. It would be absolutely fair to write the council saying not enough time was given up front for public input. There's an argument to be made there there should have been more time to discuss the design but we're well past that point if construction is expected to start 2-3 months. Friggan A man. We've been discussing this for 20 years. Just get the damn thing built. I'm sure the design will be fine. It's an airport. Just needs to be functional, expandable and not an embarrassment to the city like our current setup. "I'm sure it will be fine". Famous last words. This thing will be operational for the next 50 years and is one of the most important civic buildings in our city. Let's get it right, and at the very least fully understand what a $1billion is going towards. Last edited by MidtownCat on Mon Oct 15, 2018 5:04 pm, edited 1 time in total. Do we not understand what the money is going towards? 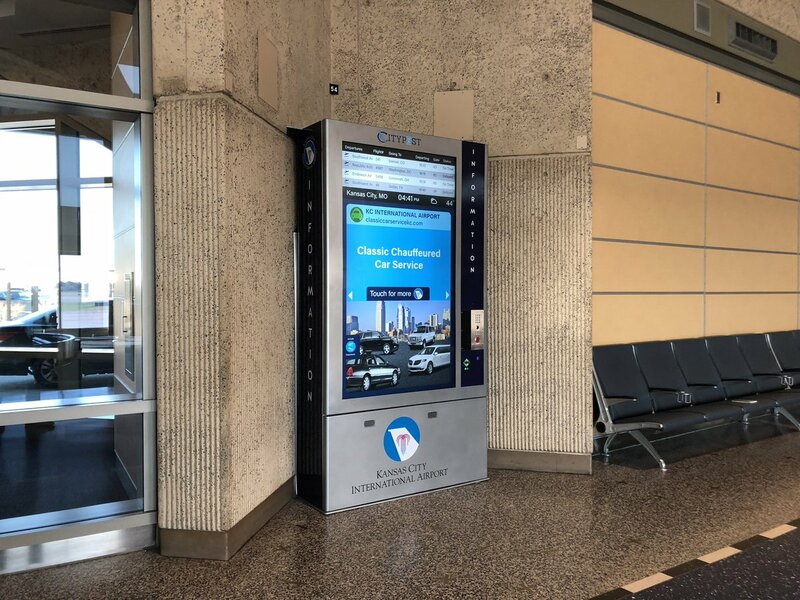 KCI unveiled some of their own smart kiosks today. I really want these kiosks to be useful but I don't see 1 flier a week using that kiosk to try and find the 229....but getting the asset in place is nice. I get ya. But this is literally the first time transit information has been made available inside the terminal since forever. Can the "touch for more" rotate through different languages and support multi-lingual information? costs of everything is going up? Delay caused by ridiculous "community benefits agreement" that the council had to have? That would make it one of the most expensive buildings in history. I don't understand how that's possible. Now's the time when everyone complains about the increased cost and Edgemoor scales back the terminal to be just a big blank box with no frills. $1.9 billion is insane - it's not like we're getting new runways or satellite parking. Federal projects are required to have much larger contingency padding in terms of numbers this year. The streetcar cost already went up to account for this. Tarriffs are creating a lot of uncertainty, so every supplier is probably raising costs. Remember, it's not just steel and wood. It's toilets, tile, wiring, insulation, light bulbs, sheetrock, glass, plastic, hardware, computer networking, water fountains and such. The sum total of everything is going to involve tarriffs over and over. Immigration policy is holding up a lot of cheaper manual labor from entering the country, even ones trying to do it properly and be documented like asking for asylum. It's not much day by day but it will add up over time and will trickle down from smaller to bigger companies. Minimum wage ballot items are increasing costs. It doesn't have to be a KC-based increase for the price to go up. They'll increase prices slightly nationwide to cover wages on average across the system. If KC is their big project in 2019 and they have five offices across the country they're paying wages for those offices off KC income. Their subs will do this too. that would be 10B. 2B doesn't seem to be out of line given construction cost and bond costs increasing. I think the real question should be, Will the new airport attract enough new air traffic to create competition, driving down prices and offset any additional cost being passed to the ticketed public?